According to the U.S. Census Bureau, approximately eight million vehicles are being washed at car wash businesses on a daily basis in the United States. Depending on the type of car wash, the amount of water used per wash can range from 35 gallons to over 100 gallons per car. This adds up to hundreds of millions of gallons of water being used on a daily basis by car wash businesses nationwide. 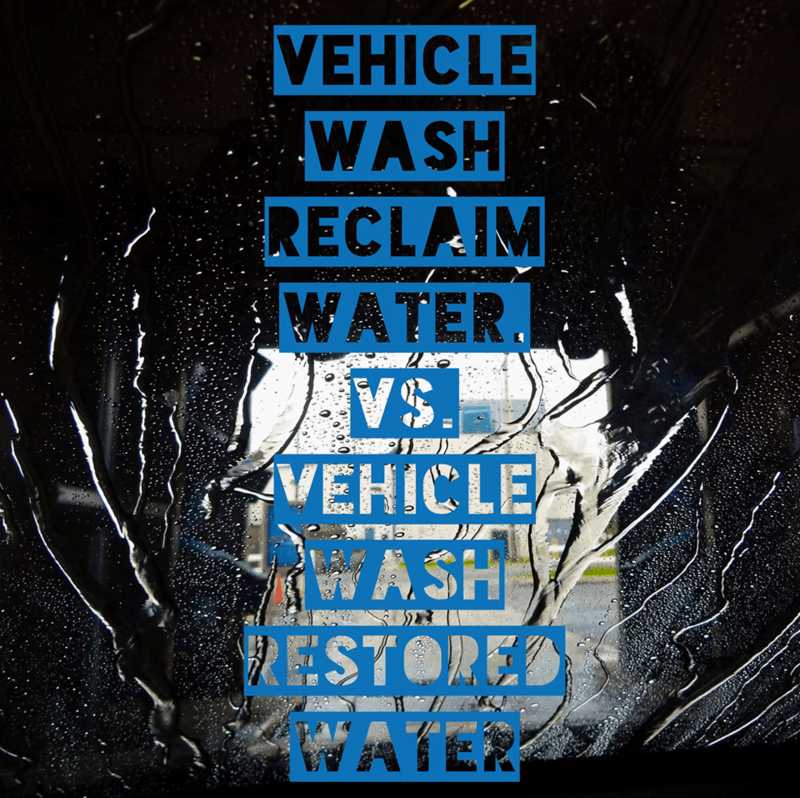 To offset costs and reuse much of the water employed during the wash process, many car wash businesses use what is known as a reclaim water system. A reclaim water system, as its name implies, takes water that has been used in the wash process and cleans and reuses it. This is mostly done through a combination of methods, including settling tanks, oxidation, filtration, flocculation, and ozone, a gas found by the EPA to cause health problems ranging from headaches to long-term lung damage to death. While these reclaim water systems cut back on the amount of fresh water that must be added to a car wash system between washes, it is still recommended that 10% or more of the water used in each car wash cycle is fresh water. 10% fresh water doesn’t seem like a lot per car wash until you remember that eight million vehicles are being washed per day in the United States. To eliminate the problem of having to add fresh water to each new car wash cycle, Aqua Bio Technologies has developed a system of water restoration that returns used wash water to as near city water quality as is biologically possible. The Bio Complete Water Restoration System uses settling tanks, aeration, and a biological treatment chamber to produce water that can be used in ALL applications in a wash except to send to an RO for spot-free rinse water. Using a combination of naturally-occurring, harmless microbes that consume car wash chemicals, natural aeration (rather than dangerous ozone) to eliminate odor in used wash water, and cyclonic separation to remove solids down to five micron (approximately the size of one human blood cell), the Bio Complete system produces cleaner, reusable water than traditionally-used reclaim water systems. When comparing traditional reclaim water systems to Aqua Bio’s Bio Complete Water Restoration System, it is clear that Aqua Bio’s systems produce cleaner wash water in a more cost-effective and environmentally-friendly way than other companies’ products. By providing new, breakthrough car wash systems, Aqua Bio Technologies is advancing the car wash industry and providing smarter solutions to some of the industry’s toughest problems.